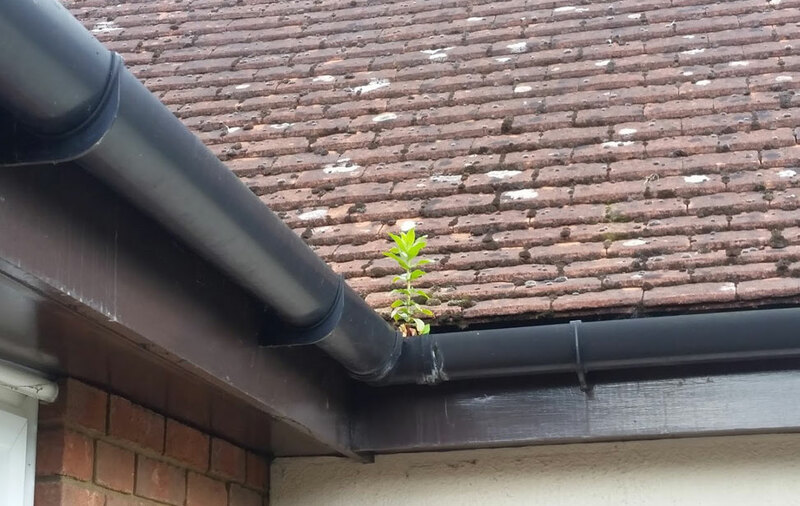 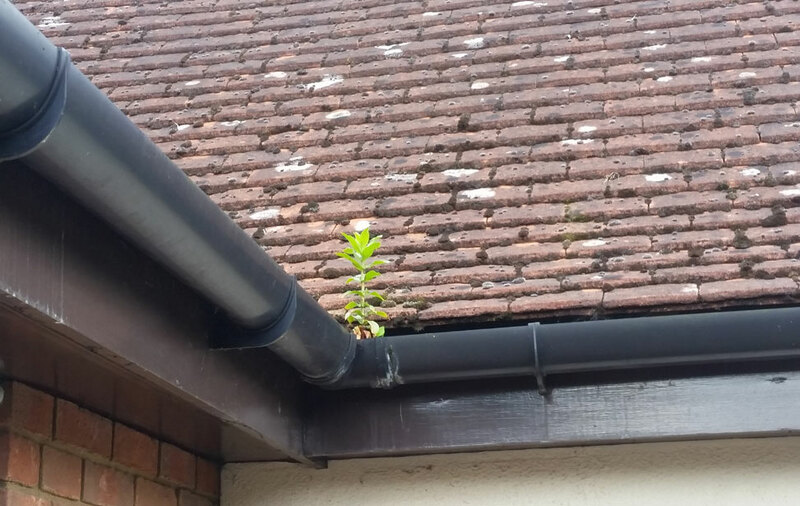 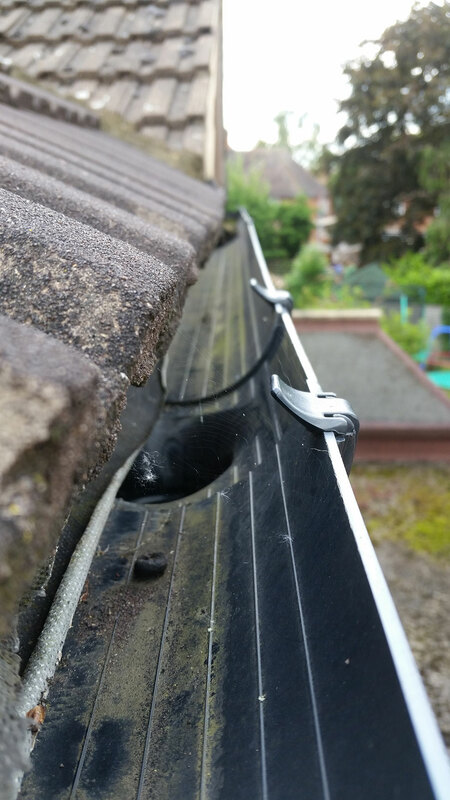 Every property should have their gutters cleared out on a regular 2-3 year cycle depending on your local conditions. 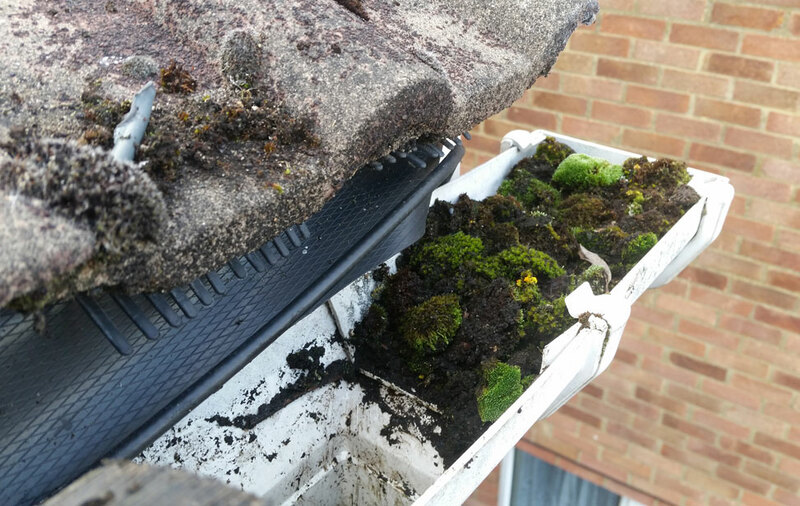 If you live in a wooded area or you have a North facing house with moss on your roof then once or twice per year may even be necessary. 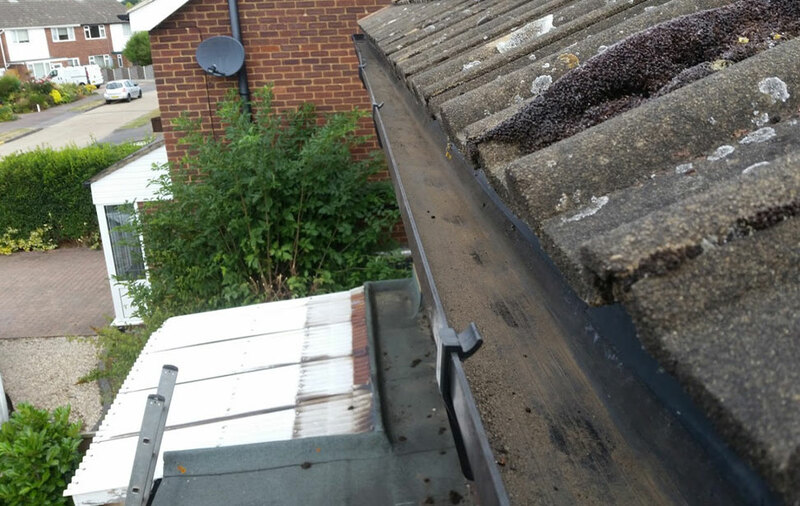 However we know that in the real world most people only have their gutters cleared out when there is a problem. 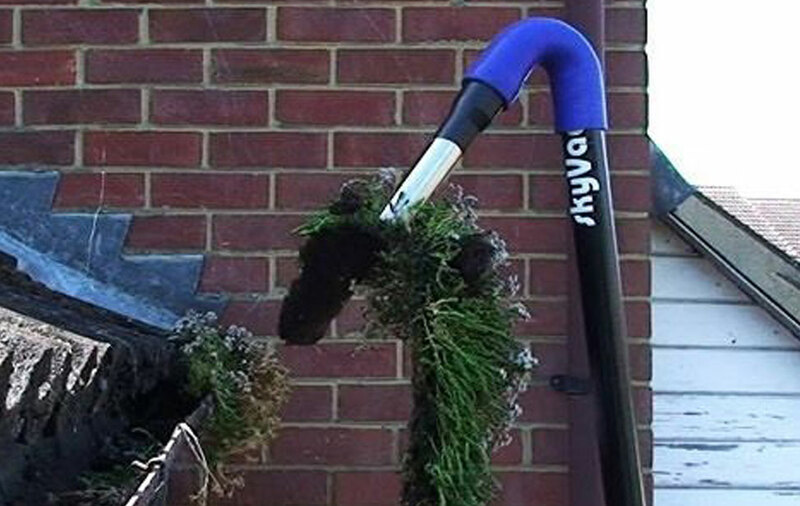 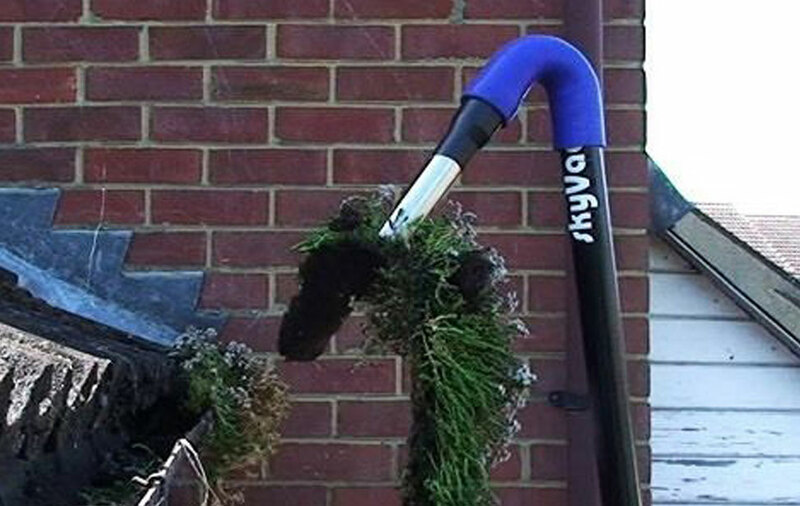 We have invested in some very new technology which allows us to literally 'hoover' out all the moss and other debris that may be lurking within your gutters from the safety of the ground. 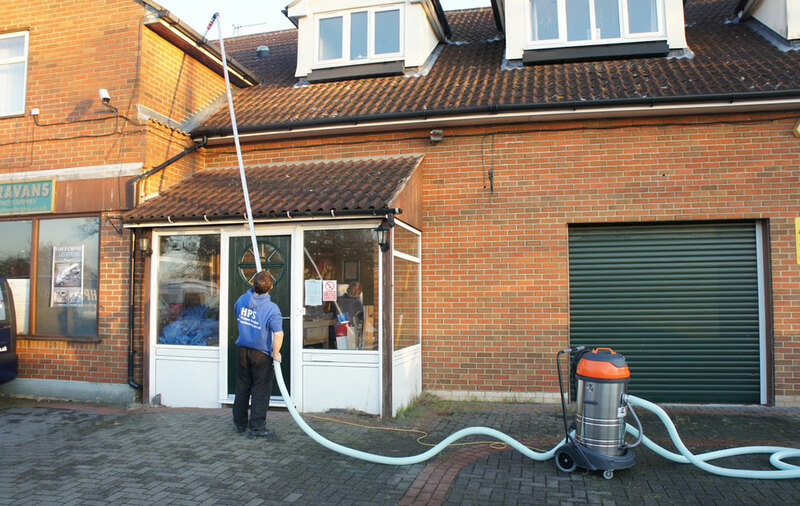 We can reach over conservatories and extensions and can go up to a height of approx 3 floors. 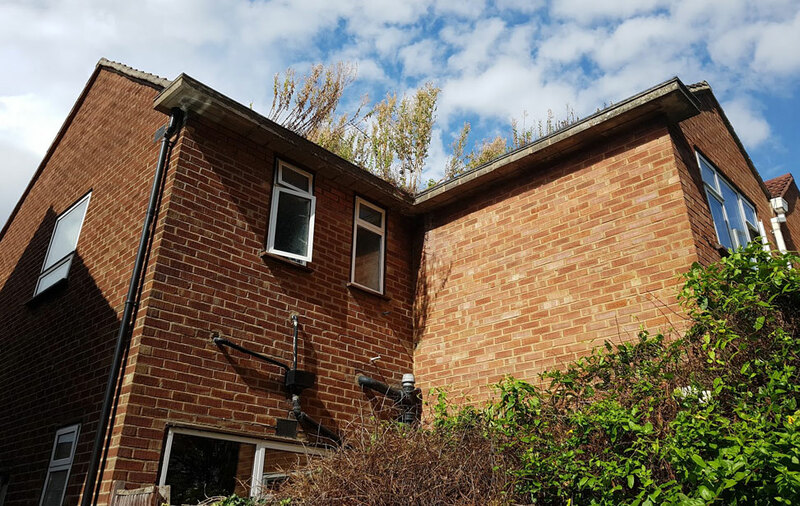 For larger properties with outbuildings, please phone for a quotation. 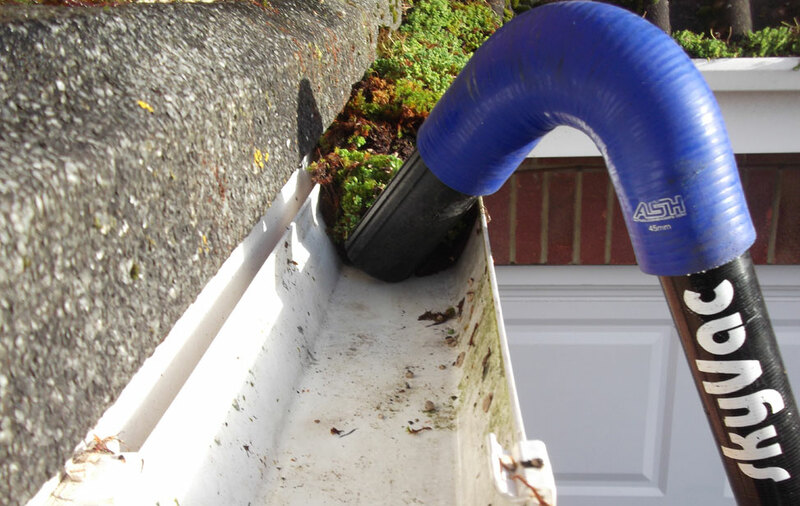 Alternatively for commercial and industrial customers please see our dedicated commercial gutter clearing page. 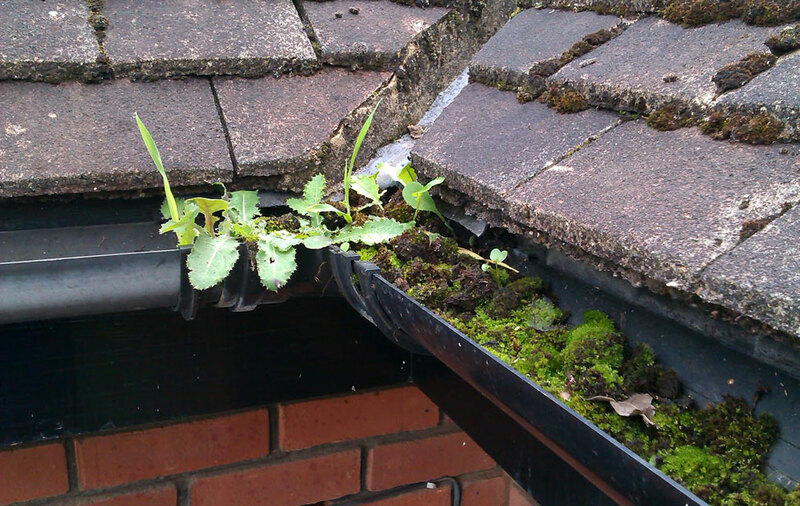 The main cause for blocked gutters is balls of moss rolling off the roof tiles and into the gutters following rainfall. 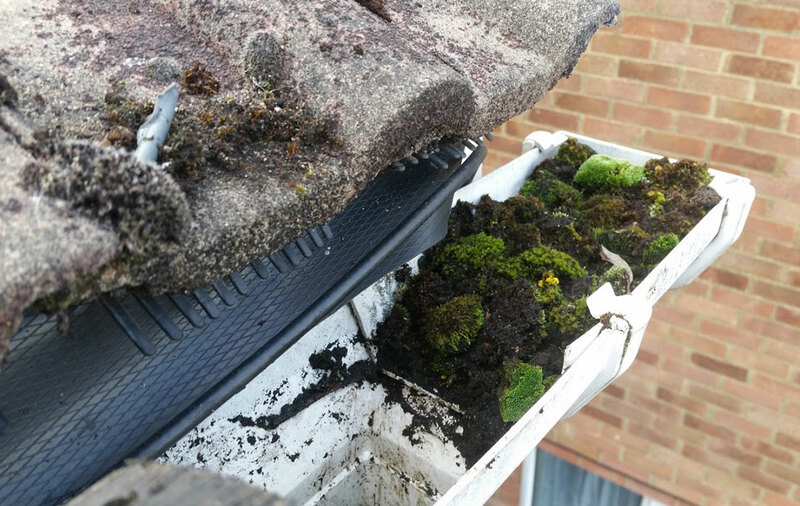 If you have a lot of moss on your roof then perhaps take a look at our roof cleaning page for more information on this. 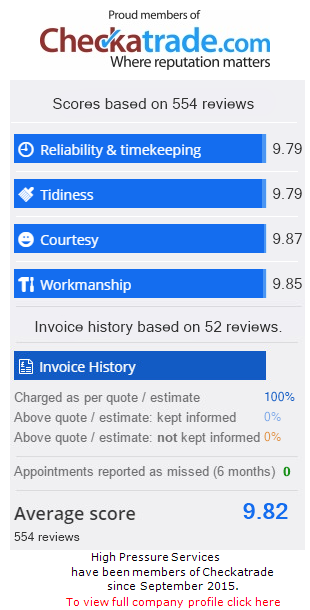 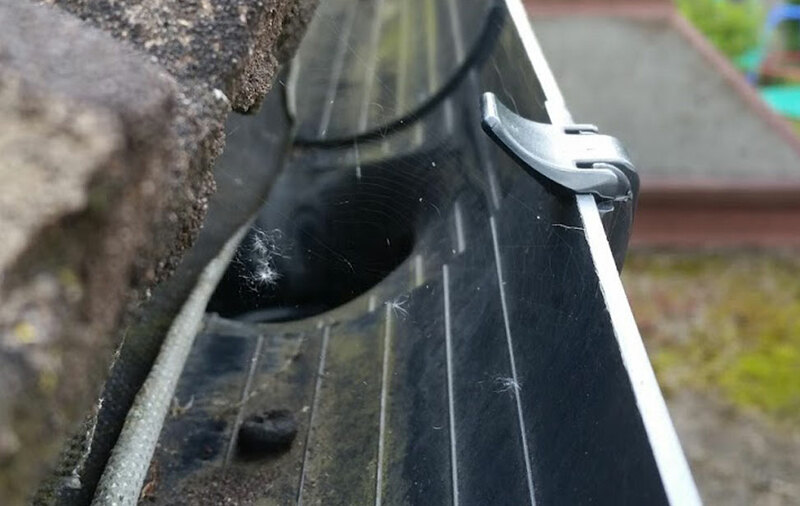 However, if you do not want the expensive of having your roof cleaned then at the very least you really need to have your gutters cleared out on a regular basis to prevent future blockages.